Those of you who are old enough to remember the days before the Internet will remember that there was a point in time where we had an Internet but not a web or a web browser. You will also remember when all that changed and everyone couldn't stop talking about this new thing called the "world wide web." 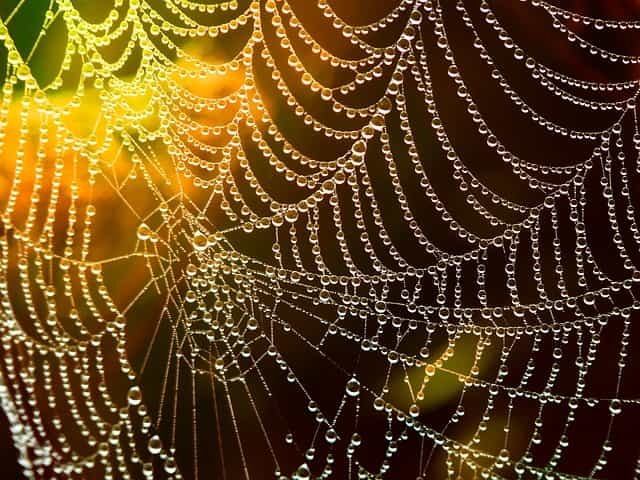 I always liked this metaphor of a web because it reminded me how interconnected everything was and made sure I would never forget that the beauty of this web was found in its links. In this post, I am going to provide secular bloggers with two recommendations for improving the performance of their blogs. These are among the easiest recommendations to implement, requiring mere seconds. I realize most bloggers are already doing what I will recommend and that some may find what I am about to say so obvious as to border on insulting. But for those who are not consistently following these recommendations (and I am aware of some who are not), doing so can make a real difference over time in terms of your traffic. A post that contains no links is a wasted opportunity. Remember, the beauty of the web is found in its links. Including links in your posts enhances user experience, helps search engines index your blog, and tends to improve your search engine performance. Every post you write should include links. Internal links refer to links to other blog posts you have written. There are many different ways to use internal links effectively, but you should think of them as primarily being used to enhance the experience of visitors to your blog. You might use them to help readers with the definition of terms. Suppose you have a previous post where you provided a detailed perspective on what you mean when you use the word "conservative." When you write a new post and you refer to yourself as a conservative, link the word "conservative" to that previous post. This enhances user experience because you have made it easy for your readers to follow what you mean. It is also good for you because it makes it more likely that visitors will read not just the new post but the previous one. Another approach would be provide a link to a previous post in a more explicit manner. For example, you might say something like, "For more on this topic, please refer to my post on secular activism" and provide the link to that post. Again, this is helpful to your visitors and often results in them reading more of your content. Every post you write should include 2-3 internal links. Why not more? It is okay to use more if your posts are long enough; however, we have all seen what it looks like when someone goes overboard with the internal links (I've made this mistake far too many times to count). When it becomes excessive, you'll find that your visitors are less likely to click on your links. Again, think of this as mostly being about providing a better user experience with the search engine benefits as important but secondary. While we are on the subject of internal links, I'll mention that it can often be helpful to edit old posts by adding links to newer posts. Going in the reverse direction is always going to be easier (i.e., you write a new post that includes links to old posts), but editing old posts to include links to new posts can boost your new posts and make the old ones more useful. This is something I started doing recently and am still not doing consistently, but I think it is worthwhile. External links refer to those that take someone to another source away from your blog. Why would you want to do that? This can enhance user experience, improve your credibility/authority to search engines, and sometimes result in reciprocation by whoever you are linking to. Including external links will increase your bounce rate (i.e., people leaving your blog for the other source you are linking to), so it is probably not something you want to overuse. I see no need to include external links in every post. Still, I see many missed opportunities here. The classic example of a missed opportunity is the one where you write a post in which you refer to another blog but do not include an external link to it. This is a mistake because other bloggers are going to be far more likely to link to you and promote your content when you link to them. If I see an informative, well-written blog post I think will be of interest to my readers in which the blogger has linked to one of my posts, I would be crazy not to promote the hell out of it. I should share it on every platform to which I have access because doing so is good for me. If I do so, the blogger who wrote the post is going to benefit as well. External linking is the accepted way to credit others when you have been influenced by their ideas or content. It helps readers find the source material. In this way, it is not unlike citing a source in a scientific paper. It shows the sources that you appreciate what they are doing, and it shows your readers that you are incorporating others' ideas into your content, which generally enhances your credibility. Give it a try. Include 2-3 internal links in every post you write and include external links where appropriate. Do not expect an immediate impact, and keep an eye on your bounce rate. The benefits related to search engines will take time. On the other hand, the sort of external link that brings you to the attention of the right person can sometimes have a dramatic impact.